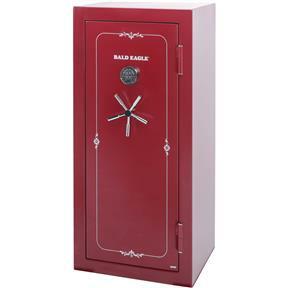 Bald Eagle BE1157 - Gun Safe, 60" x 30" x 24"
This solid and stately gun safe has been made specially for us, and we think you'll agree that it's one of the best around! 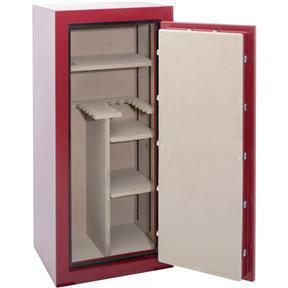 The plush shelves can house approximately 22 long guns and the safe includes an adjustable top shelf for storage. 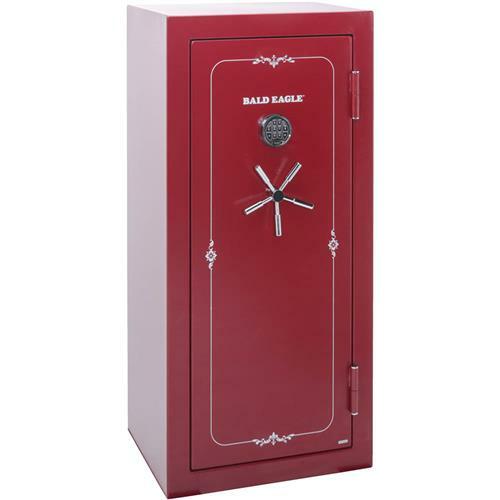 Know that your firearms will be secure with fourteen heavy-duty 1-1/4" chrome plated door bolts and a Securam heavy-duty digital lock. Securam is a well respected name in digital locks for reliability. 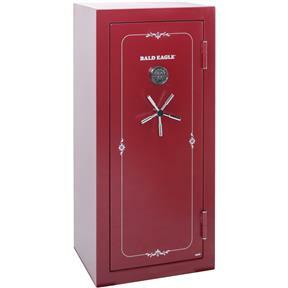 The safe itself is fire resistant for up to one hour, so you'll never have to give another worry to your gun's safety. 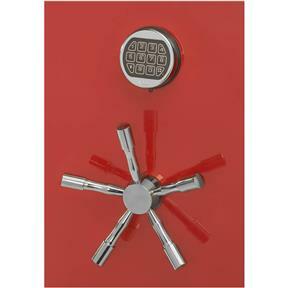 Five spoke chrome handle partnered with an attractive red powder coat finish makes for a striking piece. Approximate shipping weight: 552 lbs.